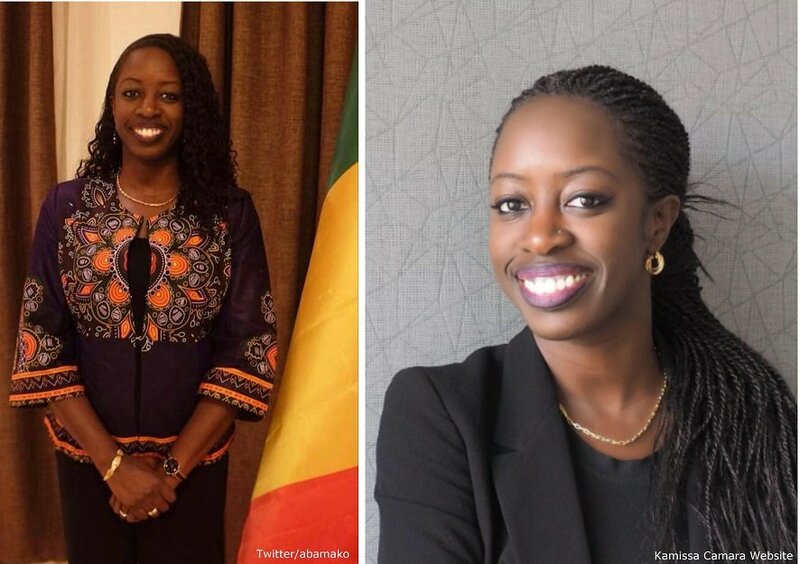 Re-elected president of Mali, Ibrahim Boubacar Keita has named a 35-year-old Kamissa Camara as the new minister for foreign affairs in his recent cabinet reshuffle. A step by the Head of states that has been commended by many as a show of gender equity. With a rich background in foreign affairs and policies, Camara becomes the first woman to hold this post in the history of Mali. Before her appointment as the minister, she served as the diplomatic advisor toPresident Keita. She is also the founder and co-chair of the Sahel Strategy Forum, which provides a platform to stakeholders to promote peace, security and development across the Sahel. Camara holds an M.A. in International Economics and Development from Université Pierre Mendès France after completing a B.A. in Applied Foreign Languages, specializing in International Relations from Université Denis Diderot (Paris, France). She has been extensively featured in the press and conferences on various issues affecting the Sahel region including governance, conflict, democracy and security. As the diplomatic advisor to the president, Camara has been vocal about the need for strategic partnerships between Mali and other countries, including China. Camara is now among 11 women out of 32 ministers in Mali’s new cabinet. Joana Mamombe stood out as the youngest MP in the new Parliament when Zimbabwe’s newest crop of legislators took their oaths last week following the controversial July 30 elections. Joanah Mamombe was born on 18 June 1993 in Harare. She grew up in a Christian family devoted to the Dutch Reformed Church of Zimbabwe. Joanah is very passionate about young people’s participation in political and governance matters. She is a gender and human rights activist. She strongly believes that 2018 is a defining moment for Zimbabwe and for young people to take the generational challenge to complete Zimbabwe’s transformation to a democratic developmental state. Joanah believes that many young people have been victims of and more than any other generation have felt more acutely the scourge of unemployment and a collapsed economy. She sees herself as a new and young crop of young and dynamic leaders who are dreaming of a new prosperous Zimbabwe. Joanah is campaigning to represent Harare west in the house of Assembly in 2018. Joanah is a trained Molecular Biologist from the Universities of Bergen in Norway and the Sussex in the UK where she Studied an MSc in Molecular Biology and Genetic Manipulation respectively. Her research interests focused on Cancer therapies and neurodegenerative disease called Parkinson’s. Joanah is a recipient of the 2017 Cannon Collins Scholarship a prestigious academic award for postgraduate study in the United Kingdom. In 2016, she was also awarded the Students at Risk Award (STAR), a flagship scholarship for Norwegian Government for students facing persecution in their own countries. Joanah is a graduate of the University of Chinhoyi where she completed a BSc in Biotechnology. She thus has a very strong background in public health and cancer research. Joanah will certainly be an asset to the MDC Alliance as one of the few STEM and young members of parliament. Joanah has a very strong sense of public service and leadership. She has served as the first female Secretary General at Chinhoyi University and also later served as National Gender Secretary for Zimbabwe`s national students body, ZINASU. In this role, she was involved in and coordinated several campaigns to highlight the plight of students in Zimbabwe. Some of these campaigns came at great personal risk as in 2015 she was heavily beaten and tortured at the hands of police. She has the discipline and courage we seek to see in young people to fight for one’s conviction and rights even in the face of adversity. She is one of the co-founders of #Tajamuka an initiative of young people that challenged the government of Zimbabwe on the growing social and economic challenges in 2016. It is thus no surprise that she now seeks to join the parliament of Zimbabwe. In 2014 in recognition of her courageous work she was chosen to attend a global conference in Denmark marking 100 years of women in politics and leadership. In 2017, Joanah was a keynote speaker at the Network of Universities from the Capitals of Europe where she spoke about young people as change makers in a rapidly globalizing world. She was also invited as a Guest speaker at the International Students Festival in Trondheim (ISFIT), Norway focusing on public health. All these speaking and global commitments demonstrate her strong leadership skills. She is a global citizen and an effective communicator. She clearly is a rising star in the politics of Zimbabwe and will no doubt make an effective member of parliament. Joanah has lived in Harare west where her father owns a property. 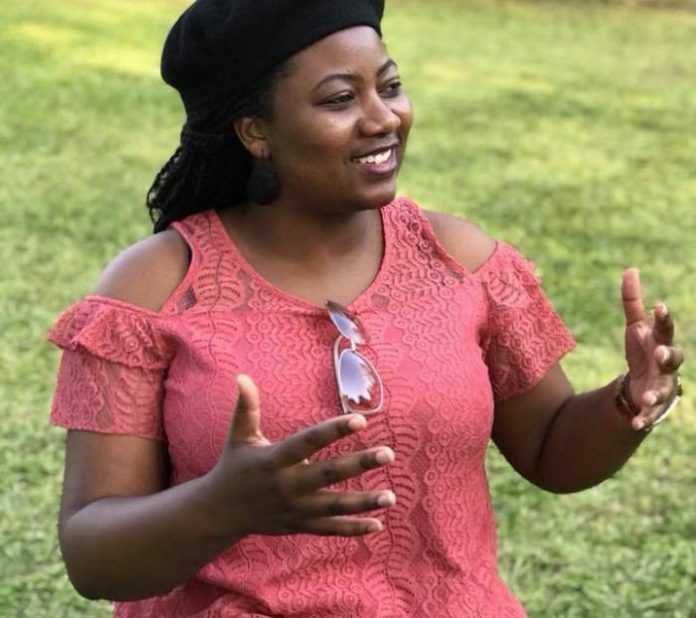 In 2015 Joanah led a program for school leaver education dubbed, “tangira pawakasiira” that sought to prepare MDC youths to sit for O`level exams. The program was closed due to funding challenges but it demonstrates Joanah desire to serve her community.